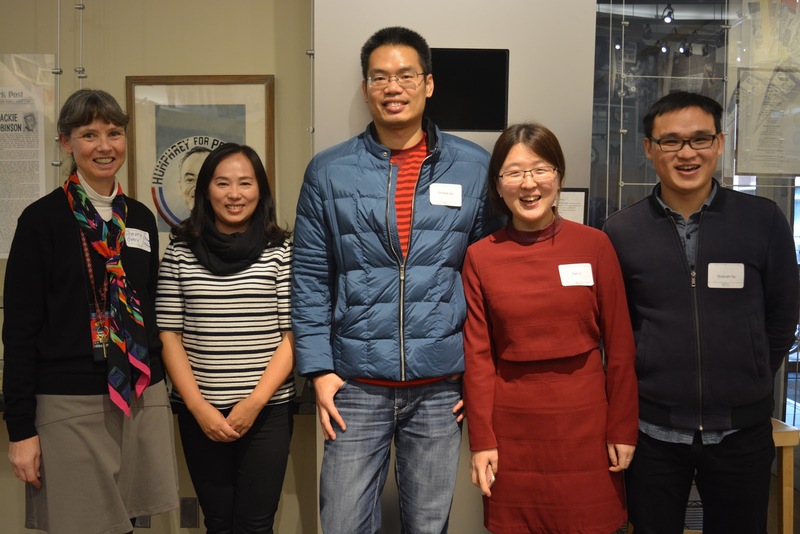 International Student and Scholar Services (ISSS) of the University of Minnesota recently honored international visiting scholars and thanked them for contributions toward the mission of the University. The Humphrey School is currently hosting five Ph.D. students and two faculty researchers. Below, Sherry Gray pictured with visiting scholars (left to right) Prof. Lan Wu and Ph.D. candidates Dishan Lin (Xiamen University), Dan Li (Zhongshan University), and Guocan Su (Xiamen University).